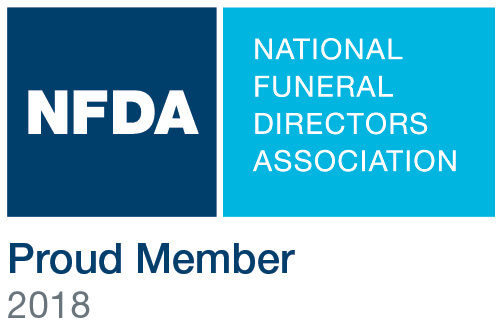 Our staff is comprised of professionals with a broad depth of funeral and cremation experience. We are dedicated to helping direct you through this stressful and difficult time. We will answer all your questions regarding your options for funeral and cremation services. Please feel free to contact any of our staff members at any time. Johnny C. DeVargas, founder of DeVargas Funeral Home, began his career in his early teens. Johnny has a passion for the work he does and recognized at a tender age that he wanted to devote his life in service to families during the most vulnerable time in a person’s life. At the age of 13, he began his apprenticeship and mentoring at the skilled guidance of a local funeral home owner. Johnny was soon identified as having the desire, empathy, people skills, and artistic talents necessary to succeed in this very specialized field. 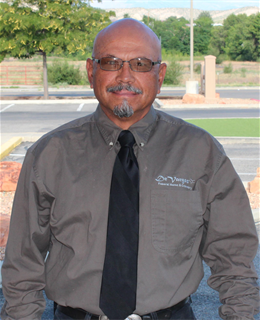 Johnny’s career experience spans over 40 years, primarily in the Española Valley and in Santa Fe. In humble beginnings, he founded DeVargas Funeral Home in March of 1999 in a very small structure, formerly the Forestry Service Building on the Los Alamos Highway in Española. Not long after, Johnny was blessed with realizing his dream of today’s more modern, larger and state-of-the-art facility. Johnny has passed the New Mexico State Board of Thanatopractice and the National Conference of Examining Boards and is certified with both. 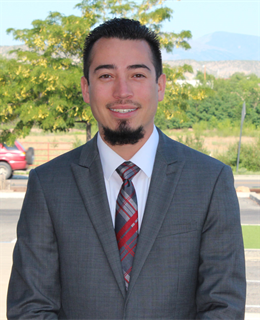 James is a native of Española and a graduate from Española Valley High School. 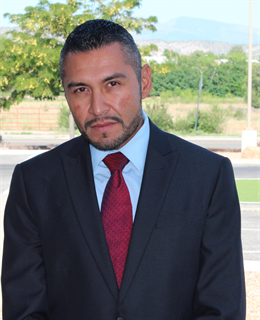 He has been actively involved in the funeral profession for a numerous amount of years within the Española Valley and our Northern New Mexico communities. 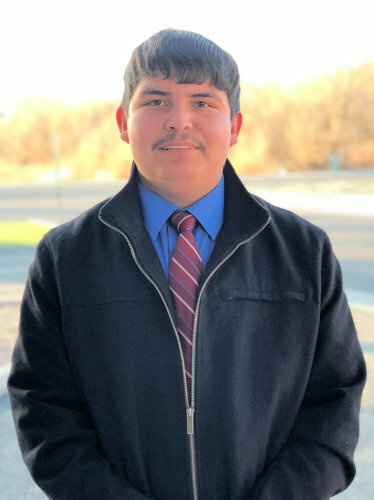 James has a Bachelor of Science degree in International Business Administration from New Mexico State University and he is currently in the final stages of obtaining his licensure as a becoming a Certified Funeral Service Practitioner. "I am proud and honored to be a part of such beautiful profession in helping those celebrate the lives of those they love in a tender, caring and compassionate way." Nina was born and raised in Southern California. She has a passion for her work and recognized at a young age that she wanted to devote her life in service to families during the most vulnerable time in their lives. At the age of 18, she began her apprenticeship at a family owned funeral home. Nina soon identified as having the desire, empathy, people skills and most importantly artistic talents necessary to succeed in this very specialized and tender field. She graduated from Cypress College of Mortuary Science in 2004 and is licensed in both California and Arizona as an embalmer. She currently is in the process of meeting the New Mexico state funeral boards requirements to transfer her license to this great state. Nina takes the utmost pride in serving families and making sure the very best is given to each person that she serves. In the past time she enjoys the beautiful views and people of Northern New Mexico. 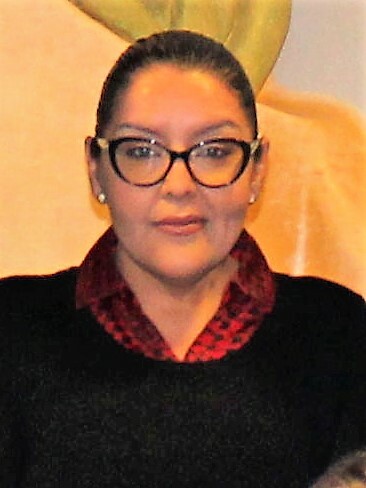 Lorraine Vigil was born and raised in the Espanola Valley. She has been a resident of Velarde, NM for 31 years, along with her husband Fidel Vigil, and their 3 children. She takes great pride in working for and with her brother Johnny DeVargas, along with other DeVargas family members, and friends. Prior to leaving her employment with Los Alamos National Laboratory after 30 years, she began as an evening service Attendant in 2002, and continued in this position for 4 years. Needless to say, she became passionate and compassionate about the position, and chose to pursue it further by becoming a Licensed Funeral Service Intern, a position she has held for approximately 6 years. She continues to maintain her license by continuing education. Lorraine feels truly blessed to have been given the opportunity to minister to our grieving families and friends in our surrounding communities, and is here to serve. Jessica is a native from Northern New Mexico, she was raised in Youngsville and has lived most of her life in Espanola. 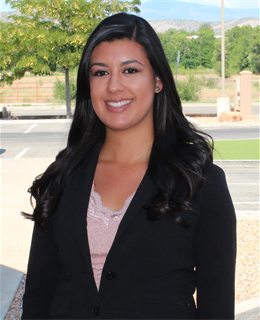 She is a New Mexico Licensed Life Insurance Agent and has been providing services to families in Northern New Mexico since 2010 with DeVargas Funeral Home and Crematory as their Pre-Need Counselor. She loves meeting with families and helping families and individuals take care of prearranging for future needs. Should you have any questions on prearranging or would like to schedule an appointment with her, please do not hesitate to contact the funeral home and she will be glad to assist you with any questions you may have.